Are you dreaming to create a stylish online website to sell handbags? 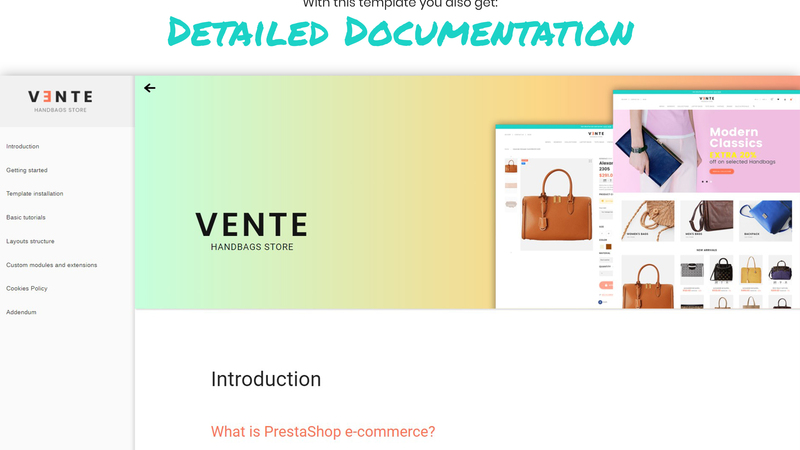 - Vente Handbags Theme from PrestaShop is ready to meet all your desires and wishes. It combines powerful functionality supported by premium modules and smart features, and spectacular design implemented in 6 ready-made layouts of the Homepage. There is a support for multiple currencies and languages, 3 variations of Quick View and 3 Product Pages, JX Blog module and much more. Being built on highly functional JX Mega Layout module, you can easily organize your content in a proper way. Hit the Live Demo and enhance your browsing experience!